May is gonna be Above Average Temps.. In May, that warmth is expected to stay parked across the nation’s midsection and the Deep South, but also spread through the Northeast and mid-Atlantic states. That means US in Ocean City ..
Summer is gonna be Above Average HOT too!! Crawford says that early indications are that an overall warmer-than-average summer is in store for the United States, particularly early on, and especially in the West and South. Any cooler weather during summer is expected to be late in the season and be confined to portions of the northern United States. That’s when El Niño could emerge. 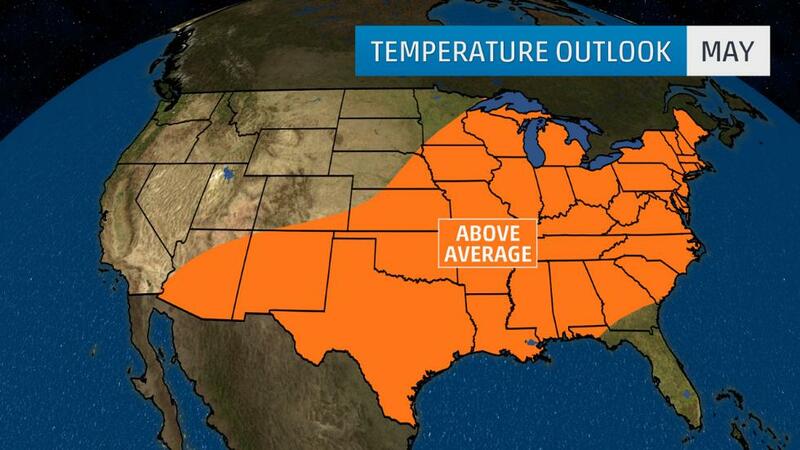 Keep in mind this spring outlook is an overall trend for the three-month period March-May. An individual cold front or an upper ridge of high pressure could lead to a brief period of colder or warmer weather, respectively.